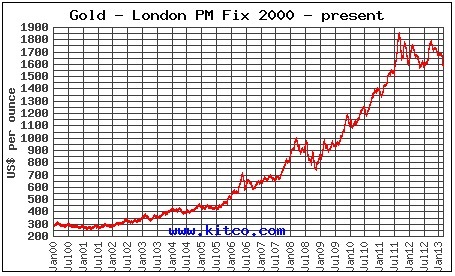 As far as investment gold goes, 100 gram bars are as in the middle of the road as one can get. They are not even close to being as small as 1 and 10 gram bars, but are still a fairly far way off from the massive 400 ounce varieties. 100 gram bars are perfect for both beginning and seasoned investors who are looking for an addition to their collection or to just get started. Buying larger bars such as these make sense because as the size of the bar rises, the price per gram decreases significantly. If you do not believe me, try comparing the price it would run you to buy 100 single 1 gram gold bars as opposed to the price of 1 100 gram gold bar. On top of it being a wiser investment tactic, a single, large bar is much easier to store and transport than multitudes of smaller ones. After all, one of the most important parts of the investment process is safeguarding it. Without a secure investment you might as well kiss your gold goodbye. There are a decent amount of different producers who make 100 gram gold bars, and while they may all seem the same, the reality is that they are valued differently by investors. In the following few sections we will cover and discuss all pertinent information that you will need to know before investing in 100 gram gold bars. The aspect of 100 gram gold bars that is certain to drive up the cost a little bit is the fact that most providers do not produce them anymore. 100 grams actually translates into a little bit more than 3 ounces, and since 3.215 ounces is more confusing than it is convenient, many producers began to shy away from the variety as cleaner ounce versions were released. Nowadays you will find 1, 5, and 10 ounce bars much more frequently than you can expect to encounter 100 gram bars. Nonetheless the 100 gram bar is still largely popular amongst certain investors and is sought out with regularity. Like we touched on before, not every gold bar is identical and the same can be said about the packaging they come in as well. Since 100 gram bars are a bit larger than many of their counterparts, the packaging it comes in becomes increasingly important as far as protecting the gold goes. If you cannot protect the bar(s) you purchase, you are taking a major risk when it comes time to try and liquidate your precious metals. While condition of coins is incredibly vital, the condition of gold bullion is not nearly as important. With that being said, this does not mean you can be completely careless with your bullion. A few signs of wear and tear will not turn too many purchasers off, but large chips and signs of deformation will be the difference between selling your bar at a high price and selling it at one under market value. Most other gold bars are packaged in something called assay, which is nothing more than a plastic casing with authentication included to guarantee you that the gold encased in plastic is actually real gold. 100 gram bars are a bit different in some do ship within an assay CertiCard, while others ship loose with a separate paper assay. Because of this, the need to take care of your bar becomes even more important. If you are buying a 100 gram bar of the loose variety you may be wary about the authenticity of your bar, but so long as you are purchasing from a reputable dealer and buying a bar created by a brand name you have heard of, you will likely be just fine. Another aspect that was touched on a bit earlier was the fact that not every gold bar of the same weight is minted in the same size. This sentiment is true with 100 gram bars especially. While many of the bars are varying in size, the variations are usually only very small and not enough to make a big difference as far as transportation and storage goes. 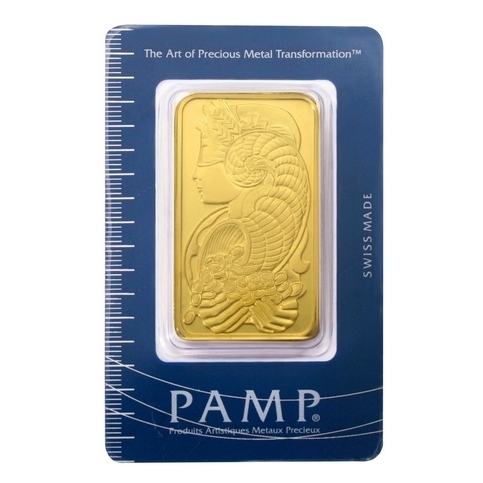 Typical dimensions of a 100 gram gold bar are 1 1/8” long x 1 ¾” wide x 3/16” in depth. If you have ever dealt with precious metals before, the term “premium over spot” has probably rung through your ears. Premiums are the prices precious metals dealers tack on to the actual value of the metal within a bar. At first this may seem unfair, but without the existence of premiums, precious metals dealers both online and brick and mortar would have a hard time staying in business. Rather, they would simply be selling precious metals at their current spot value which would not even yield enough money to run a business. When you are searching for 100 gram gold bars, you can typically expect to find premiums within the range of $45-$50 above the spot value of the metal. If the premium you are paying is grossly above that price range you should think of taking your business elsewhere.